We know there are a lot of you out there have been collecting the Dunny since the beginning of its time. A message to every single one of you – we appreciate you. Your dedication to the brand is phenomenal. I actually started collecting KidRobot vinyl toys in about 2006. My friend Glenna, who reached out, was running a marathon and raising money with an auction. 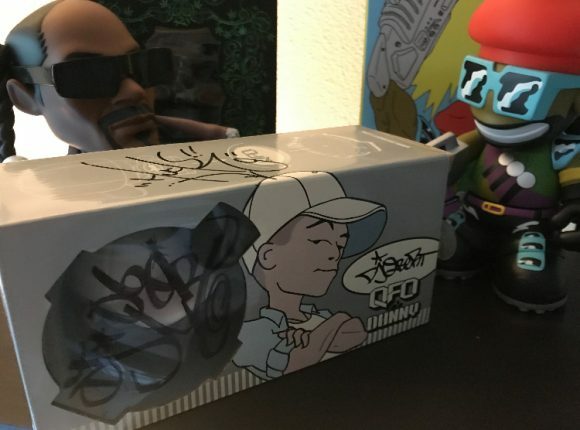 One of the items was a grab bag of sorts that featured an autographed Gym Class Heroes album along with some other things that included an early OBEY Andre the Giant sticker… and, most importantly, a Frank Koziak Monger Series 1 ice cream cone. It was the pink one with sprinkles. 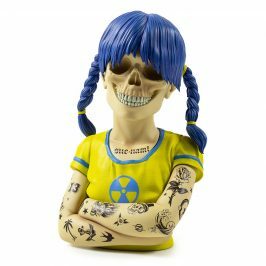 I was intrigued and searched KidRobot online in the early days of Google (I think) and became addicted immediately. First off, I really liked the silhouette especially since I was an owner of a rabbit at that time (R.I.P. Bruce), but I was drawn to the artistry. My father has been collecting painting, anything from Peter Max to Michael Goddard, for many years and instilled an appreciation for art in me as well. I gravitated more towards street art like graffiti, stickering and flyering. 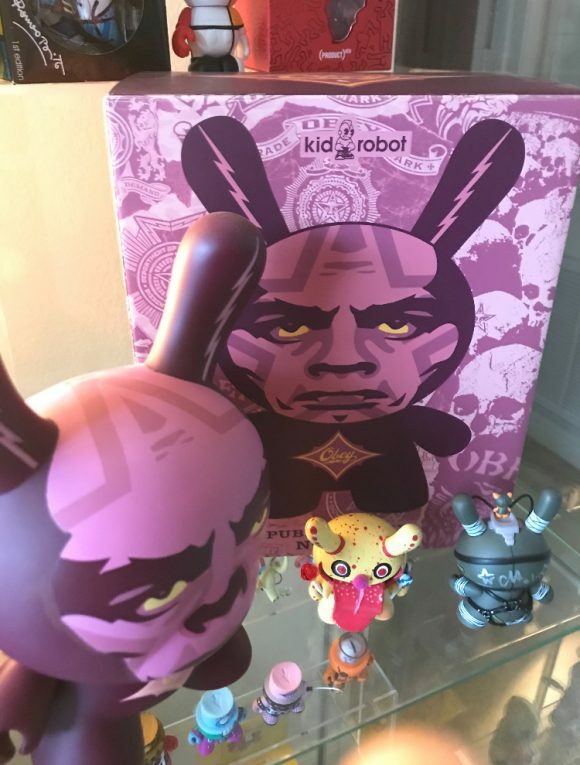 For me, KidRobot and the Dunny was one of the first collectables to embrace this. Plus, in blind boxes, they were like baseball cards for the art world as you never knew what you were going to get but it was always intriguing! 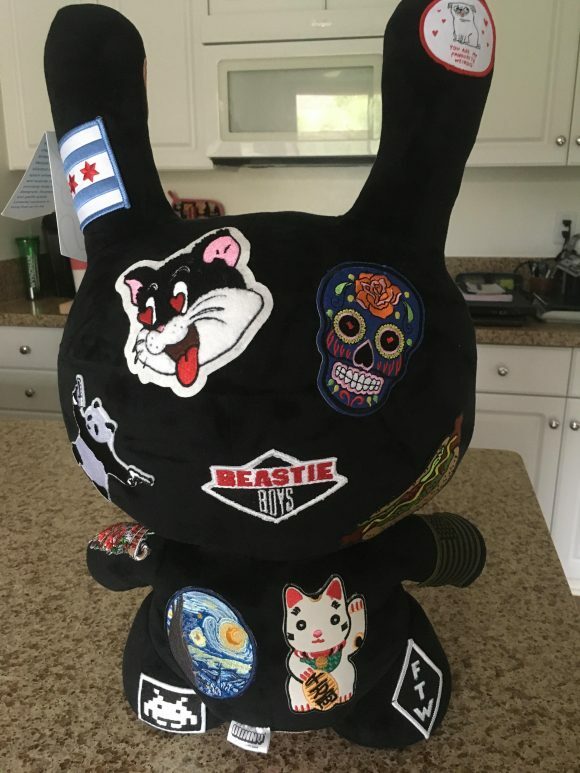 I was also a deejay for about 15 years and loved the initial connection I saw with Dunnys, but also KidRobot, and music. Whether it was previously released Huck Gee’s DJ QBert Dunny (I have autographed by both Huck Gee and QBert) and The Limelight’s Peter Gatien to the more recently released Jean Michel-Basquiat’s Beat Bop or Andy Warhol ‘s Velvet Underground album cover Dunny. The most unique music piece I have is a custom wood Dunny by Shawn Wigs that came with a limited release CD of the song ‘Candy Licker’ featuring Method Man. The fact that music I enjoy is represented in this art form has definitely driven me to seek out certain items. 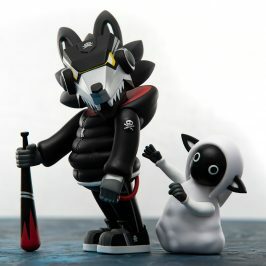 My overall vinyl toy collection also features the KidRobot designed De La Soul boxset and A-Trak’s Greatful Bear as well as the Snoop Dogg and Major Lazer figures. What is your most prized collection item? Probably it is the 2010 SketOne condiments collection. 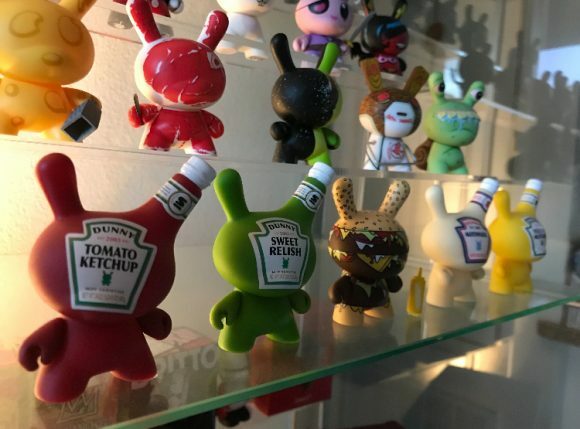 I loved the originally packaged Ketchup when I opened a blind box. It was already intriguing because it was one of the most cleaver adjustment had been made to the actual Dunny silhouette by making one ear the neck of the bottle. I went to a local comic convention and purchased Mustard and then bought Relish online. Finally, my dad, knowing how much I was looking to complete the set, purchased the Mayonnaise one for me as a Christmas gift. What is your most unique piece? This is a tough question. I’d probably have to give you two examples. First, I was previously married. 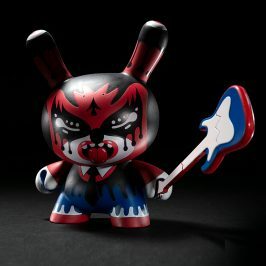 In 2012, for our wedding, I reached out to a handful of artists from around the world to commission Dunnys of my ex-wife and I. Sticking with the concept of the Dunny, I set three guidelines otherwise it was up to them how to design it. First, the sets had to have a Dunny that represented my ex-wife and myself. Second, the artist had to sign the pieces. Third, the wedding date had to be listed somewhere on the pieces. We got a great response and our wedding featured customs from Lunabee (London), ColorChemist (Boulder), ArtMyMind (Tokyo) and a few others. The crowing piece was our cake toppers created by Queen Andrea (New York), known more for her Fat Caps than Dunnys. 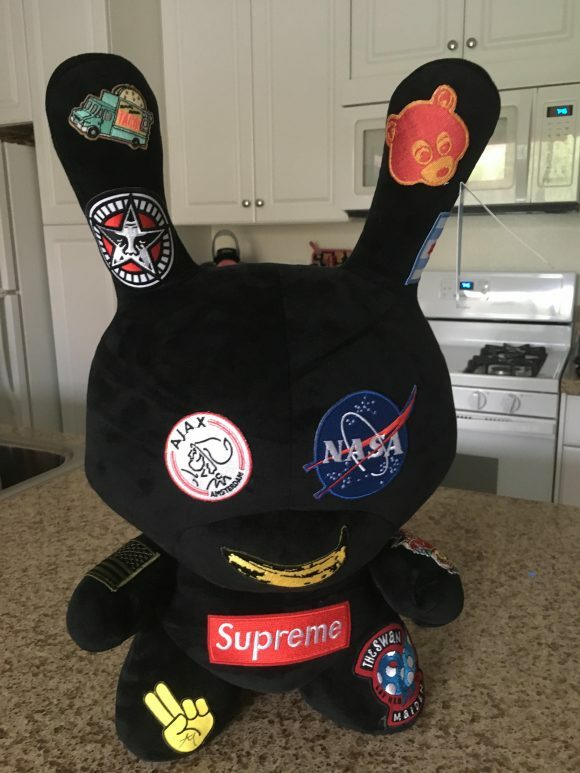 Second, and more currently, I created a custom piece myself using patches that represent personal interests in my life on the recently released 20” black plush Dunny. I played with DIY Munnys when I was earlier in my collecting phase, but never had the opportunity to customize a Dunny. This was my chance. Adding everything from brands to music to representations of places I’ve lived. It came together very well if I do say so myself. It will be on display with a few other pieces this year at the Orange County Fair in the collections competition. Having built a vinyl toy collection that contains a few thousand pieces, you shop all over the world for the ones you like. 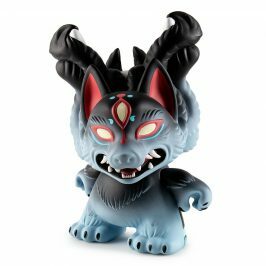 My first go to is normally online at KidRobot.com especially since I live in the LA area and there is no longer a KidRobot store. I just recently purchased the 8” Plush Guts Dunny online. That thing is so cute! When I lived in Chicago, I was at Rotofugi all the time. Shout out to Rotofugi… my favorite toy store ever! Also grab exclusives at Comic Cons and online. With my collection now I look more specifically for the ones that I would like to display, so I’m a little bit pickier. What do you hope for in the Dunny future? 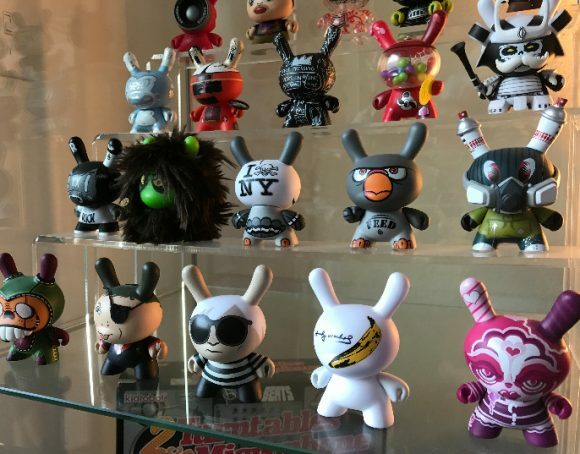 The Dunny has grown is so many ways that have attracted new collectors and allowed the art form to be really exposed to the art market as much as the vinyl toy and collectables market. 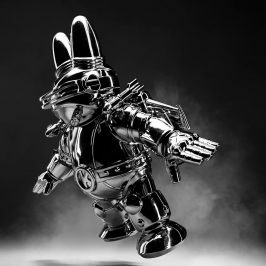 I love the fact that someone can have a life-size Dunny as a focal art piece in the living room (similar to the Kaws statue in Swizz Beats’ house) or a 3” version sitting on his or her desk at work. In the future, I would love to see some of the basics come back. 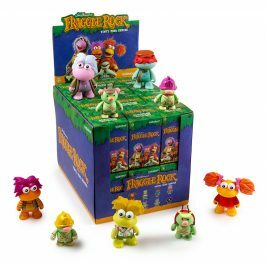 I enjoyed the themed series but love the original blind boxes and the creativeness of so many different artists. Dunnys are really an incredible way to introduce new talent to the world, so that one day we will find the art work of another Tristan Eaton, Amanda Vissell or Mad to fall in love with!